Young Singer, The-Bk. 1-Tenor (With Piano Accompaniment CD). Composed by Peter Ilyich Tchaikovsky Richard Strauss. 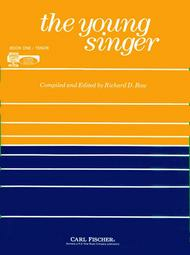 Edited by Richard D. Row. For Tenor. Classical. Book and CD. Standard notation. 79 pages. Published by Carl Fischer (CF.RB83).ISBN 0825803799. With Standard notation. classical.